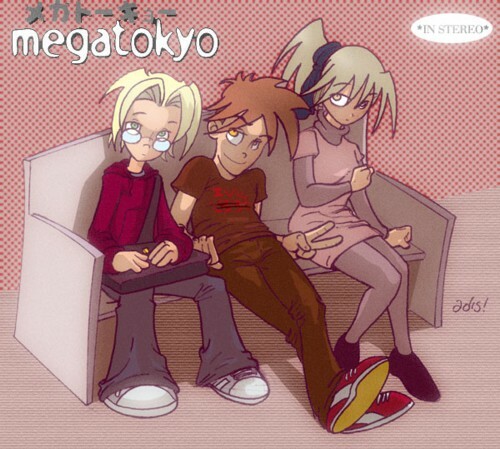 Adis says:Yes, that's the Megatokyo gang! Some of them anyway... Fanart is one of the most fun things to do for me, so every sunday, you'll be seeing new fanart from a different webcomic, but you'll get to pick what I draw. If you go to the forum, you'll find a poll with the possible choices for next week. Vote for one, and I'll announce the winner on thursday, with the artwork coming on sunday. I promise it'll be fun to see your favorite webcomics drawn in my style.